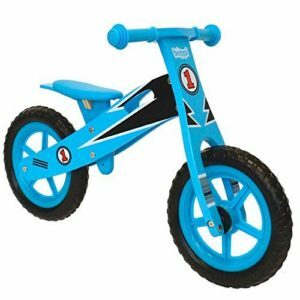 While you are searching through all of the options and looking for the best balance bike, one of the major factors to consider when you are choosing the best model is the weight of your balance bike. 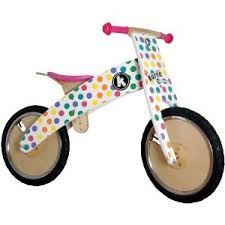 An obvious point to note is that smaller balance bikes aimed at 2-3 year olds will generally be lighter than balance bikes for older children or those aged 6 and over. 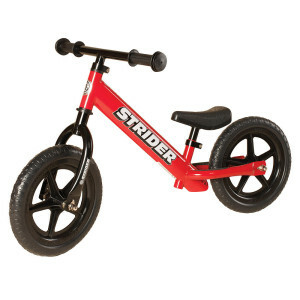 It is important to make sure that you buy a balance bike that your child finds easy to handle, otherwise they will struggle with the bike and it might well put them off riding it. A useful guideline is that your bike should be less than a third of your child’s weight in order to achieve this. 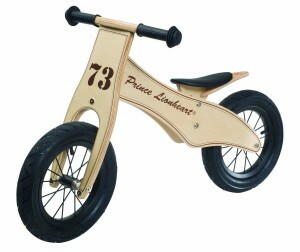 The lightest balance bikes for 2 year olds will start at around 3kg, so this will be perfect for smaller children. 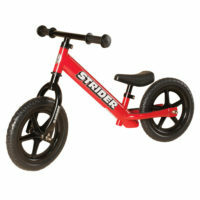 Good examples of these sorts of bikes are the Strider Classic (pictured) and the Boppi Metal Balance Bike, which both weigh exactly 3kg. 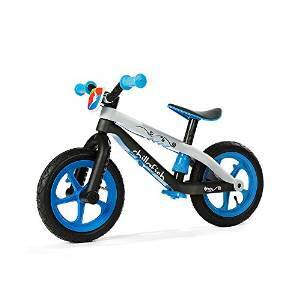 Another bike to consider is the Chicco Red Bullet Balance Bike which weighs just 2.7kg, and is one of the smallest bikes on the market. A lighter bike is also appreciated by parents when the rider decides that they have had enough and they end up carrying the bike! 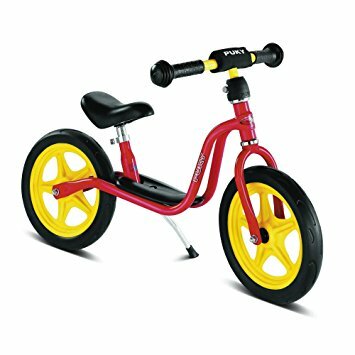 You can check out our recommended balance bikes for 2 year olds in our comparison table which shows the weights of our suggested models. Balance bikes for children in the core balance bike market of between 3 and 5 will vary in weight between from around 4.5kg such as the Kiddimoto Kurve and Prince Lionheart up to the Weeride Deluxe, which is one of the larger balance bikes with 14 inch wheels and weight in at 6.5kg. 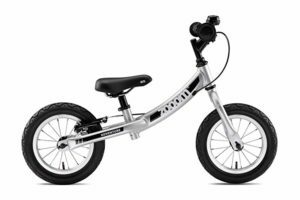 There is a huge range of balance bikes available in this part of the market, all of which vary in frame composition, style and features.